Antonio Stradivari Cremona, 1717 "Tyrrell"
We can read accounts from the late 19th century of dealers finding Stradivari violins in unspoiled condition. There are now but a handful that are still truly pristine. Many were destroyed in wars, many more have been stolen and never recovered and countless are now so heavily repaired that they are being maintained by the life-support of the restorer’s art. This magnificent violin of 1717 has been cherished by all who owned it. From the time it went to Britain from France it was owned by only the most discerning. The London dealer William Davis acquired the violin from a Mr. Harper in 1839 and sold it the following year to Edward Tyrrell. 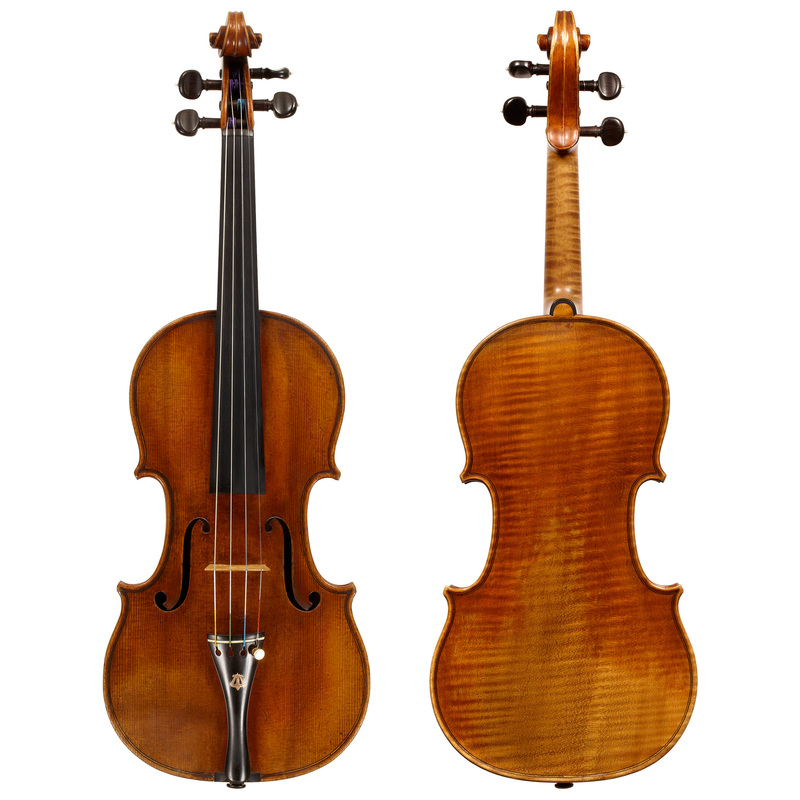 Tyrrell, a City Remembrancer, one of London Corporation’s Chief Officers, acquired a second Stradivari of 1717 in 1844 and later the “Medici” contralto viola of 1690. The instruments were inherited by his son Avery Tyrrell in the late 1880s and he ultimately entrusted the firm of W.E. Hill & Sons to sell them in 1906. After a brief ownership by the collector Frederick Smith the Hills sold this 1717 violin to George Neill in 1911. It was reacquired from his estate and from this point it remained under the watchful care of the Hills until soon after the Second World War. In March 1946 the violin was acquired by Clarence Payne, a collector who had also owned the “Lady Blunt”. Hills statement, “We consider this violin entitled to rank amongst the best examples of the maker” remains true today thanks in great part to its next owners. Gerald Segelman, who bought the violin directly from Payne in 1948 treasured it above all of his vast collection, as did its next owner, the Chicago collector Howard Gottlieb, who purchased it in 1992. Rare Violins of New York sold the violin on behalf of Howard Gottlieb in 2006 and it has since returned to Europe where it is now owned by an appreciative collector. The instrument was featured by Charles Beare in the memorable 2013 exhibition at the Ashmolean Museum in Oxford. There, among the greatest examples of Stradivari’s work, the “Tyrrell” was rightfully displayed alongside the “Messiah” of 1716 and the “Lady Blunt” of 1721.